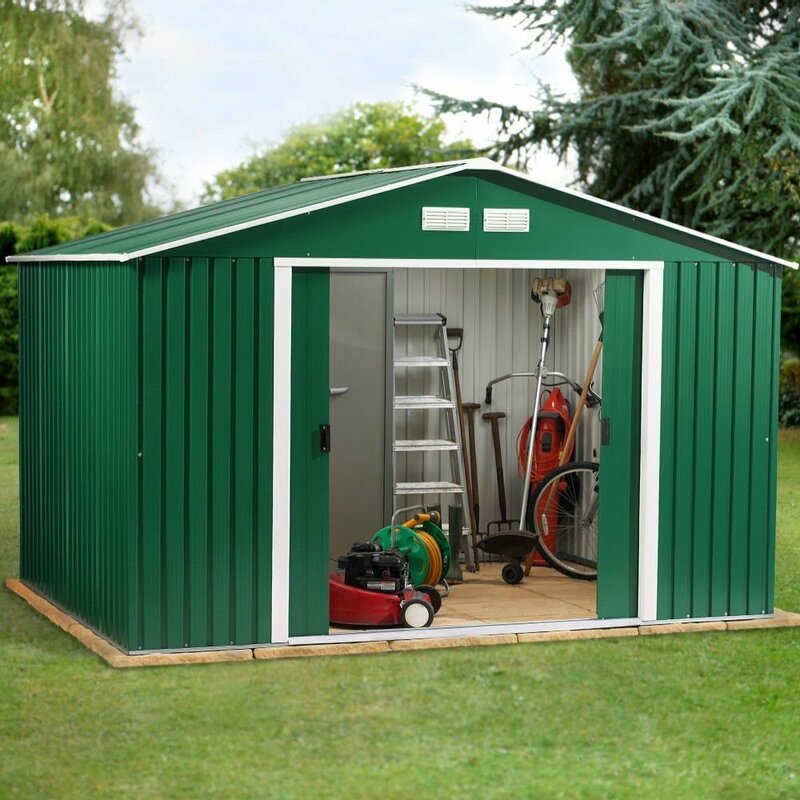 The Emerald Springdale 10 x 8 Metal Shed is a large 10ft wide shed for your garden or allotment with more than enough room for keeping tools, childrens bikes and garden furniture dry and safe. 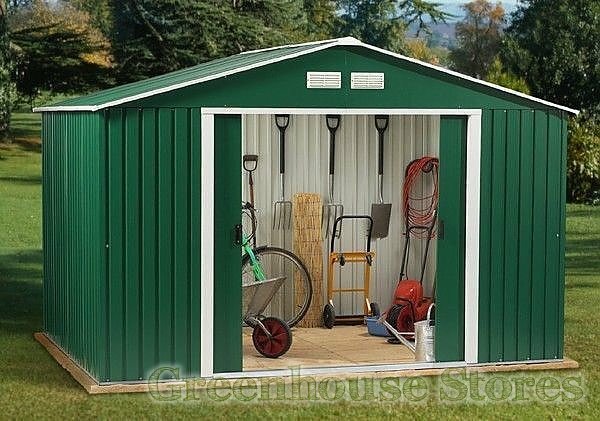 Emerald storage sheds are designed to be completely maintenance free and are fire, rot and rodent resistant. 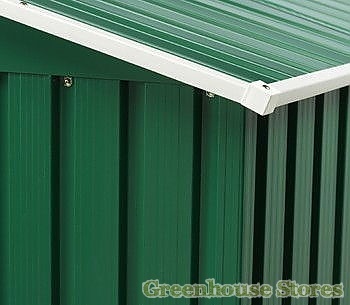 The Springdale 10x8 metal shed is constructed from a thick zinc coated galvanised steel framework that is 635mm thick and clad with high tensile galvanised steel sheet with a hot dipped double coat of deep green colour finish with contrasting white vents.